International trade and services group BayWa has revealed its results for the first nine months of the year, with revenue increasing slightly to €12.2bn from €12bn, but EBIT dropping from €90.3m to €28.3m. According to BayWa, the earnings fall was the result of project sales in its renewable energies business unit not yet being on par with the level seen in 2017, although this was in line with expectations. 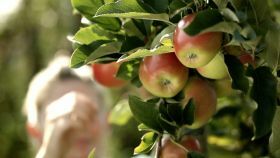 BayWa's international fruit business continued to develop "positively", but was unable to balance out the fallout from the low 2017 apple harvest in Germany and the resulting lack of marketing volumes for the current financial year. However, the group said that was expecting a recovery in fruit trading in the run up to the Christmas period, thanks to tropical fruits and the asparagus and grape trading activities of T&G Global. Looking ahead, BayWa said that it was expecting a "significant jump" in earnings through the fourth quarter, due to the sale of solar parks and wind farms with a total output of 450 megawatts, meaning it was standing by its overall 2018 positive forecast.